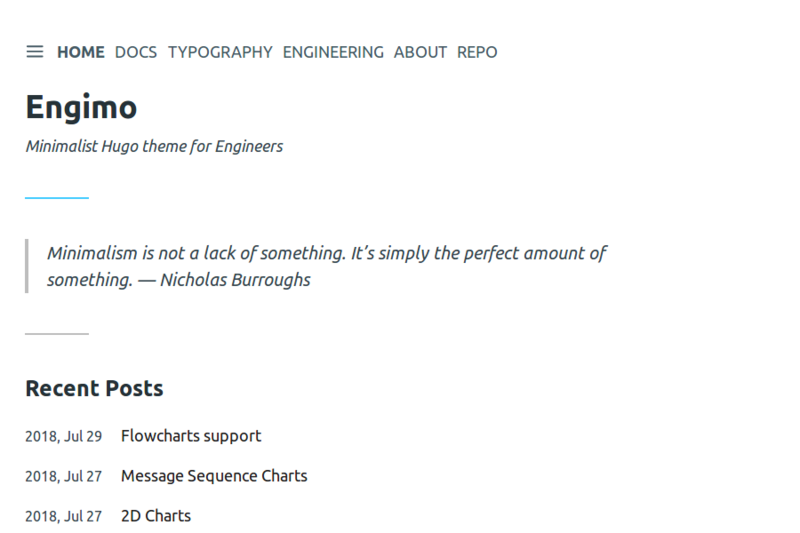 Minimalist theme for Hugo with support for engineering content publication. Forked from an excellent Minimo theme. Check the Minimo Documentation for detailed documentation of Minimo and go to Engimo Documentation for additional details on what has been added on top of Minimo to make it more friendly for engineering content. Engimo is licensed under the MIT License. Check the LICENSE file for details.